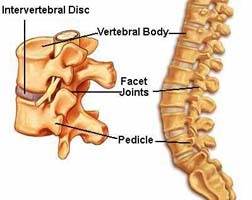 Decompressive laminectomy is the most common type of surgery done to treat spinal stenosis. This surgery is done to relieve pressure on the spinal cord or spinal nerve roots caused by age-related changes in the spine and to treat other conditions, such as injuries to the spine, herniated discs, or tumors. In many cases, reducing pressure on the nerve roots can relieve pain and allow you to resume normal daily activities. Problems from having general anesthesia. Blood clots in the deep leg or pelvic veins (deep vein thrombosis), which rarely travel to the lungs (pulmonary embolism). An unstable spine (more common after multiple laminectomies are done without using spinal fusion). Tears in the fibrous tissue that covers the spinal cord and the nerve near the spinal cord, sometimes requiring reoperation. Difficulty passing urine or loss of bladder or bowel control. Death (rare) related to major surgery. If you have diabetes or heart disease or are a smoker, you may be at greater risk for complications. Most experts recommend that people with spinal stenosis try nonsurgical treatments before opting for surgery. People who delay their surgeries while using other treatments still have a reasonable expectation to have good results from their operations. Surgery for lumbar spinal stenosis is most likely to relieve pain if it is mostly in your legs. Surgery does not usually work as well for relieving pain that is mostly in your back. Surgery is usually effective if you have severe leg pain and numbness and you have not been able to move around well for a long time.4 But in some cases, the symptoms return after surgery. It is also possible that nerve symptoms, including numbness and clumsiness, may not be relieved or may also return. After a laminectomy and fusion, spinal stenosis may develop directly above or below the surgery site. Repeated surgeries for spinal stenosis increase your risk of complications and instability in the spine. Age should not be a factor in deciding whether to have decompressive laminectomy. However, if you have other medical conditions that will make this procedure and follow-up rehabilitation less successful, surgery may not be recommended.